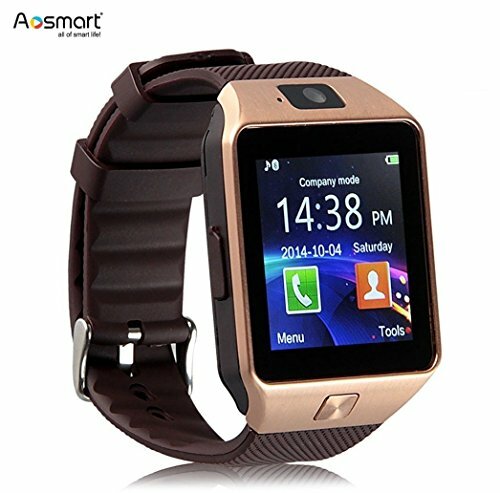 This watch is 100% compatible with Android smart phones. Connect via Bluetooth or download the APK app on your android phone to enjoy the full functionality and features of the DZ09 Smartwatch. Features include; Answer Calls, Dial Calls, Contact Sync, Audio Player, Camera, Calculator, Calendar, Alarm, Sedentary Reminder, Anti-Lost, Push Notifications, Text Messaging, Sleep Monitor, Pedometer (Step Counter), Calorie Counter, Remote Camera Control & More! If you have any questions about this product by Aosmart, contact us by completing and submitting the form below. If you are looking for a specif part number, please include it with your message.